A small Clevedon dry stock farm is for sale, with huge views across the Hauraki Gulf. 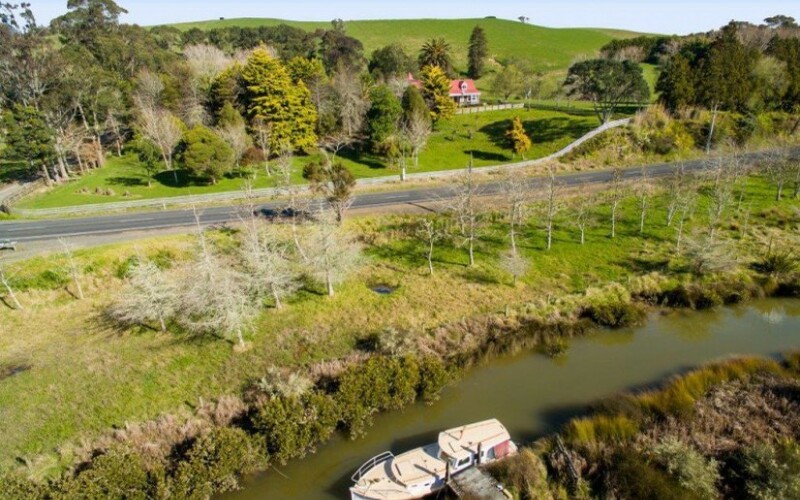 Located at Wairoa Bay, 41 kilometres east of Otahuhu, the 40 hectare coastal property is listed for sale by Jim Scorrar, of PGG Wrightson Real Estate, Pukekohe. He says it has an outstanding outlook, within easy reach of Auckland. “From the top of the property you are overwhelmed by big, beautiful northerly sea views. You can look out to Clevedon, the bottom end of Waiheke Island, across to Pounui Island and around to the Coromandel. It also has its own direct access to the Firth of Thames. There are not many rural locations within such close proximity of the Auckland CBD and this one is absolutely stunning,” he said. Current owner Warren Tyer has had the farm since the early 2000s, fattening sheep and cattle alongside an engineering business he owns in Otahuhu. “This is somewhere between a large lifestyle property and a small farm. It is set up to run manageably and to provide supplementary income. “After work, one of the big attractions from here, on the right tide you can take a kayak out to the ocean within about 15 minutes,” he says. Jim says the locality is a perfect bolthole. “Plenty of people with property nearby work in town and either have an apartment there, coming down for the weekend, or commute, which is an easy run either in the car or via the ferry,” he says. Warren has undertaken wide-ranging improvements since he purchased the property. “Back then there was a big plantation of pines on the farm which suffered extensive damage during Cyclone Bola. We took all the pines out, ground the stumps, re-irrigated and re-fenced the whole farm. All the new fencing is with eight wire post and batten fences and the farm is now subdivided into ten main paddocks. All fencing is electrified and we have a central race servicing the front paddocks. 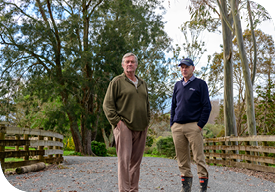 We dammed and built five ponds around the streams that run through the property, which supplements the farm’s water supply that comes from a 30 metre bore,” he says. According to Jim Scorrar, Warren has farmed the property conservatively. “A balanced fertiliser programme over the years is evident in the strong pasture and there is an excellent set of sheep and cattle yards, with the sheep yards fully automated. “It is mainly easy rolling farmland and is well supported by a good array of improvements, which includes a new large workshop and storage area, calf sheds and stables,” he says. Taking advantage of the views, the large four-bedroom, multi-wing, two-storey board and batten home sits in a well-established garden setting and has its own unique style. Originally a modest 1930s farmhouse dating back to the property’s traditional dairy farm origins, it has been progressively added to over the years and is now topped by a lookout tower to make the most of the coastal views. Jim says a new owner might be tempted to utilise an additional revenue stream presented by the farm. “Wairoa Bay, and this property in particular, has unique potential for social functions and adventure based tourism. Its proximity to the city, superior location and views offer definite scope for creative hosting, hospitality or other ventures, and a new owner looking to make the most of that will only be limited by their imagination. “Further inspiration for anyone interested in taking the property in that direction is close to hand, at Kauri Bay Boom Rock, a few hundred metres away, which is a recently developed high spec event, conference and wedding venue that makes excellent use of the spectacular location,” he says.